The Sophia Sofa blends modern curves with traditional hand tufting for a versatile design that's at home with any decor. Available with Swarovski Crystal accents. Available in a wide range of upholstery fabrics and your choice of acrylic, wood, or steel legs. 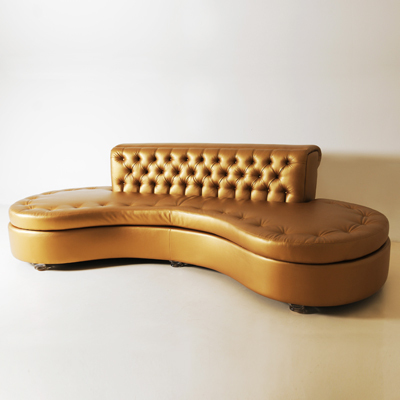 Choose from options of button tufting, decorative brass studs, and Swarovski crystal accents. Pairs with the Sophia Ottoman (model BSO). Dimensions (WxLxH) inches 140" x 50" x 36"